Today, the ecology is not only about providing a green environment around buildings but, above all, applying solutions that will help to protect the natural environment. It will be perfect if thesesolutions also bring measurable financial benefits and allow for savings when operating the building. One of the areas, in which one can take care of eco-friendly and economical solutions, is supplying the building with electricity. When designing and constructing a real estate, creation of independent power systems based on renewable energy sources are more and more often assumed. 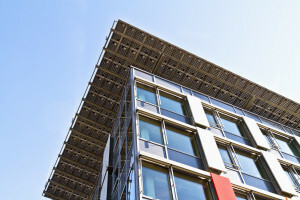 Building Integrated Photovoltaics (BIPV) systems, which generate electricity from solar energy, become popular. There are many ways of adapting the system; the only restriction is the available surface. Such a system may be a part of the building’s façade or roof. It can also replace balcony railings, skylights, or be a part of the landscape architecture, such as a lamp post or a bench. If the decision to use BIPV is made at the design stage, the installation of BIPV will reduce the consumption of traditional construction materials because, in addition to its main task – generating energy, BIPV will also play the role of building materials. 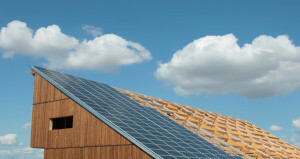 Therefore, BIPV should be regarded as a way to achieve the return on investment in building materials.The photovoltaic system does not require additional equipment, wiring or protections; a bidirectional counter and an additional circuit, which will ensure distribution to the marshalling box, will be enough.The administrative and legal matters are limited to report a new prosument when transferring the counter to the final owner. 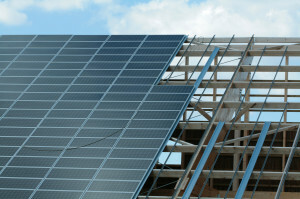 During use of a building, own solar power system lowers the bills for the energy drawn from the grid. The amount of energy savings because of this depends on the power of the photovoltaic system. Looking from the perspective of a single flat, the BIPV system, installed instead of handrails on the balcony with the length of 3 m, will produce about 280 kWh per year, which is over 12% of the household’s annual electricity consumption**.